The long-anticipated sequel to Disney-Pixar’s popular film The Incredibles became a bit more complete today with the release of new cast members and character details for the film. The announcements were headlined by the additions of Bob Odenkirk (Better Call Saul), Catherine Keener (Get Out), Sophia Bush (One Tree Hill) and Jonathan Banks (Better Call Saul). Bush will portray a new, young Super named Voyd who seems to have a bit of an obsession with Elastigirl. Her powers give her the ability to “divert and manipulate objects around her by creating voids that allow the objects to appear and disappear, and shift in space.” With Elastigirl taking on much more of a centralized presence in the sequel, Voyd should prove to hold a valuable role in the story of the film, as well. Rounding out the announcements, Banks takes over the role of Rick Dicker, the Super Relocation Program agent whose division has been shuttered, while Issabella Rossellini (Blue Velvet) portrays a Super-positive foreign dignitary known simply as Ambassador. 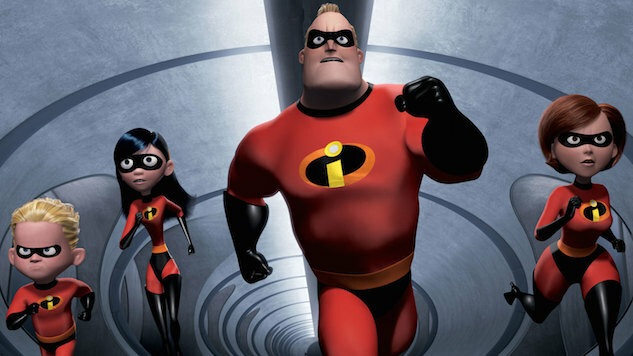 Most of the original cast will return for The Incredibles 2, including Holly Hunter, Craig T. Nelson, Sarah Vowell and Samuel L. Jackson. Dash, however, will now be voiced by newcomer Huck Milner. Each character also received a tease of their individual look—see those and Disney-Pixar’s full character descriptions right here. The Parr family, as well as all of the new characters released today, will hit theaters on June 15. Watch the record-setting The Incredibles 2 teaser here.